Firstly, apologies for being MIA the last week or so, but if you’ve been reading my previous posts, you’ll know that I’ve been away in Qatar. 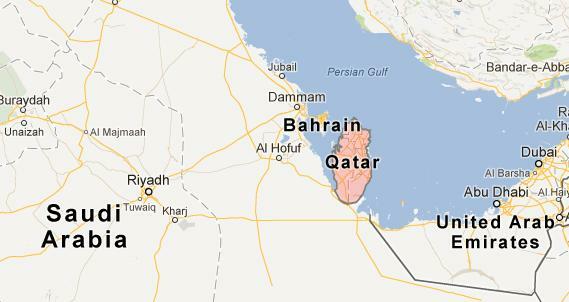 For those who don’t know where Qatar is, it’s a little country that sticks out from Saudi Arabia and is almost next to the UAE. It’s a melting pot of nationalities, which means there are many cultures, but more importantly it means the cuisine is a fantastic mix. The best way to describe the local food is to say it is very similar to Lebanese, with a lot of focus on grains and pulses. Hummous, kebabs, flat breads all feature heavily of the restaurant menus. But despite all the delicious combinations on offer, one little salad caught my attention. 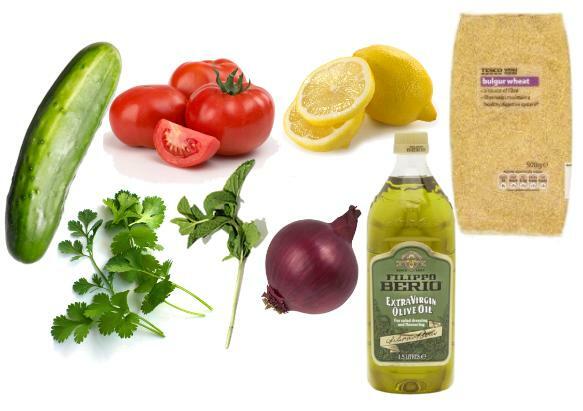 Tabbouleh is well known in the UK, with supermarkets like M&S selling small pots of it in their ‘Lunch to Go’ ranges. The western version of this salad usually consists of a lot of cous cous or Bulgar wheat, minimal amounts of herbs and generally tastes a little bland. Obviously in the heat of the Middle East, the key to food is to keep it light and fresh, & for that, Tabbouleh is perfect. The disadvantage with making this salad in the UK is that fresh herbs can be quite expensive here, especially in the quantities you need for a decent sized bowlful (and trust me, you will, this stuff is so moreish!). For more affordable herbs, try a market, where you’re more likely to be able to buy large bunches of fresh herbs, rather than in the supermarkets where you can only buy a few sprigs. I’ve returned from Qatar with a large jar of Tabbouleh spice, very kindly given to me by my friends’ Mum, but you can easily mix your own version together and keep in a sealed jar, or forgo the spices altogether, up to you! Now, I’ve looked all over for the secret to the perfect Tabbouleh spice and finished product for that matter, but it appears there isn’t one perfect recipe, everyone has their own version according to location and handed down recipes! But to add to all of those, here is my version. In a small bowl, mix equal quantities of the following ground spices. Pop the spice mix into an old jam jar and keep for later use. This salad is very much about personal taste, so if you’re not so keen on raw onions, reduce the amount, or chop them first and pop into some lemon juice to take the raw flavour out of them. Likewise with the dressing, if you prefer a more tart flavour, add more lemon juice and vice versa. Serve with grilled meat & fish or with crisp lettuce leaves to scoop it up with. Yum. Previous Post Be my Valentine?